"This volume is the most detailed and comprehensive textbook in the field of genocide studies. Anyone who wants to learn about key cases and issues, past and present, needs to read it." "Based on immense scholarship, Genocide: A Comprehensive Introduction is much more than an indispensible text for students of this seemingly intractable phenomenon. With its global and interdisciplinary perspectives, it consistently advances our understanding of genocidal events on many fronts. Provocative yet balanced, Adam Jones's second edition at once summarizes and defines this burgeoning field." Text Excerpts from Genocide: A Comprehensive Introduction, by Adam Jones. Bibliography: all the suggested "Further Readings" in Genocide: A Comprehensive Introduction, combined as one convenient HTML file. Filmography of movies and documentaries with a genocide theme. For Teachers: discussion questions, information on bulk ordering of books for classroom use, syllabus of Yale genocide course, the Genocide Studies Media File, "Twelve Great Songs About Genocide," publicity brochure, media coverage. Links to anti-genocide organizations and online resources. "The subtitle says it all: unique in the literature, this book provides a thorough, comprehensive introduction to the subject of genocide. Jones ... delivers a very readable, intellectually stimulating text. The overall perspective is interdisciplinary. Relevant research and insights from psychology, sociology, and anthropology are included; maps and illustrations complement many of the examples and case studies. ... The historical coverage ranges from discussions of genocide in the Hebrew Bible to contemporary abominations in Sudan's Darfur region. Commendably, there are thoughtful chapters on the significance of gender, memory and denial, and postgenocide tribunals. The book concludes with strategies to anticipate future genocides and intervene when necessary. Readers are encouraged as responsible citizens to consider their reactions to genocide. Summing Up: Essential. All readership levels." "This is the best introductory text available to students of genocide studies. Written in clear, elegant prose and supported by a wealth of authoritative sources, Genocide: A Comprehensive Introduction is likely to become the gold standard by which all subsequent introductions to this enormously important subject will be measured." Genocide: A Comprehensive Introduction is the most wide-ranging and interdisciplinary textbook on genocide yet published. The book is designed as a text for undergraduate and graduate students, as well as a primer for non-specialists and general readers interested in learning about one of humanity's most enduring blights. 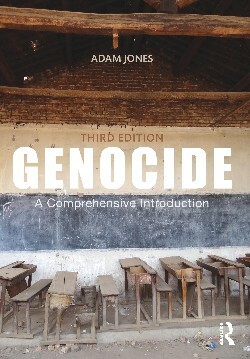 Over the course of sixteen chapters, genocide scholar Adam Jones provides an introduction to genocide as both historical phenomenon and analytical-legal concept; discusses the role of imperialism, war, and social revolution in fueling genocide; and supplies no fewer than seven full-length case-studies of genocides worldwide, each with an accompanying box-text. A unique section explores perspectives on genocide from the social sciences, including psychology, sociology, anthropology, political science/international relations, and gender studies. The final section of the book considers "The Future of Genocide," with attention to historical memory and genocide denial; initiatives for truth, justice, and redress; and strategies of intervention and prevention. Written in clear and lively prose, liberally sprinkled with illustrations and personal testimonies from genocide survivors, Genocide: A Comprehensive Introduction is established as a core text of the new generation of genocide scholarship. Adam Jones, Ph.D., is Professor of Political Science at the University of British Columbia Okanagan in Kelowna, Canada. From 2005-07, he was Associate Research Fellow in the Genocide Studies Program at Yale University. He is the author or editor of over a dozen books, including The Scourge of Genocide: Essays and Reflections (Routledge, 2013), Gender Inclusive: Essays on Violence, Men, and Feminist International Relations (Routledge, 2009), and Genocide, War Crimes & the West (Zed Books, 2004). His scholarly articles have appeared in Review of International Studies, Ethnic and Racial Studies, Journal of Genocide Research, Journal of Human Rights, and other publications. 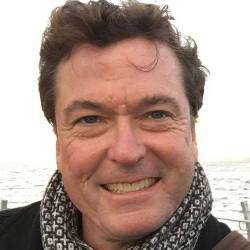 He is executive director of Gendercide Watch, a web-based educational initiative that confronts gender-selective atrocities against men and women worldwide. He is also a widely published photojournalist with a Global Photo Archive of over 17,000 hi-resolution Creative Commons images. Personal website: adamjones.freeservers.com. "With its interdisciplinary approach and bevy of case studies, Genocide: A Comprehensive Introduction will surely become the seminal text for students of genocide. Written in an engaging and conversational style, the book not only explores existing frameworks, but expands the boundaries of genocide studies with attention to issues such as gender and the future of genocide. Perhaps best of all, Jones educates and inspires the reader to become an active and responsible global citizen." "This wide-ranging inquest into the dynamics of genocidal violence stands as a major contribution to the dismal science of 'massacrology.' More than a collection of case studies, it offers a depth of critical insight and a richness of data seldom matched in comparative studies of genocide. Informed by a formidable erudition, and a deep personal sensitivity to the horrors that he describes, Adam Jones's splendid book is a milestone in the literature on mass crimes and genocide." Author photo by David Liebe. Thanks to Cooltext.com and Artist4hire.net for graphics.